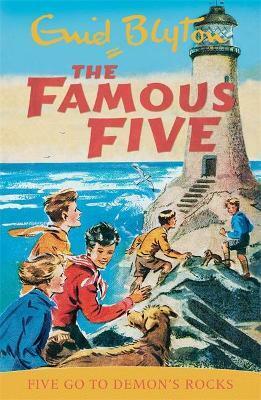 In book nineteen, the Famous Five travel to Demon's Rocks and discover a very old and valuable gold coin. Demon's Rocks is famous for its stories of bountiful treasure, but if the myth is reality, who does the treasure belong to? This edition features original cover art and inside illustrations by Eileen Soper.